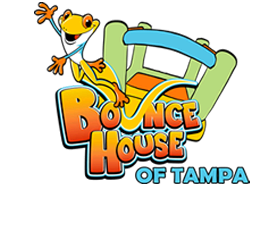 Bounce House of Tampa LLC is located in Tampa FL. We're your #1 bounce house rental company in the Tampa Florida area. Thank you for considering Bounce House of Tampa for your bouncy house rentals in Tampa. Bounce House of Tampa is a family owned and operated business since 2012 in Tampa, Brandon, Riverview and surrounding Florida communities. We provide the best variety and cleanest units in the bay area. We have very competitive pricing and we cover all of Hillsborough County and the Tampa, Lutz, and Westchase areas. We offer Moonwalks, Jumpers, Jumpy Houses, Bouncy House Rentals, Party Rentals, Water Slides, Tents and wet/dry combos for rent in Tampa Florida. Whether it's a birthday or a holiday, Bounce House of Tampa can bring fun and entertainment to your party. We strive to make your party a worry/stress free experience so you can enjoy the party too! We are committed to providing you great service and an even better time! Call us today Tampa (813) 400-6007 Se Habla Espanol or make reservations for your Bounce House Rental or Water Slide Rental Tampa. We guarantee you on time delivery of the cleanest, most attractive Bouncy Houses, Moonwalks, Jumpers, Jumpy House, Bounce House, Party Rentals, Water Slide Combos, and Concessions in Tampa Florida. We sincerely hope you will allow us to earn your business today... and for many years to come! Here's one of a number of brand new Combo Bouncer rentals we're added to our Tampa Inventory. This Pirate Themed Combo Bouncer features a dual lane exterior slide and awesome Pirate theme graphics, skull and cross bones flags, even a large cannon! Bounce House of Tampa now has great party entertainment available for our Tampa customers. Our Face Painting artists can add excitement to any party or events with their super artistic talents. Or maybe a birthday clown is just the ticket!